A compact pedal platform for the home, from Russia with love…. 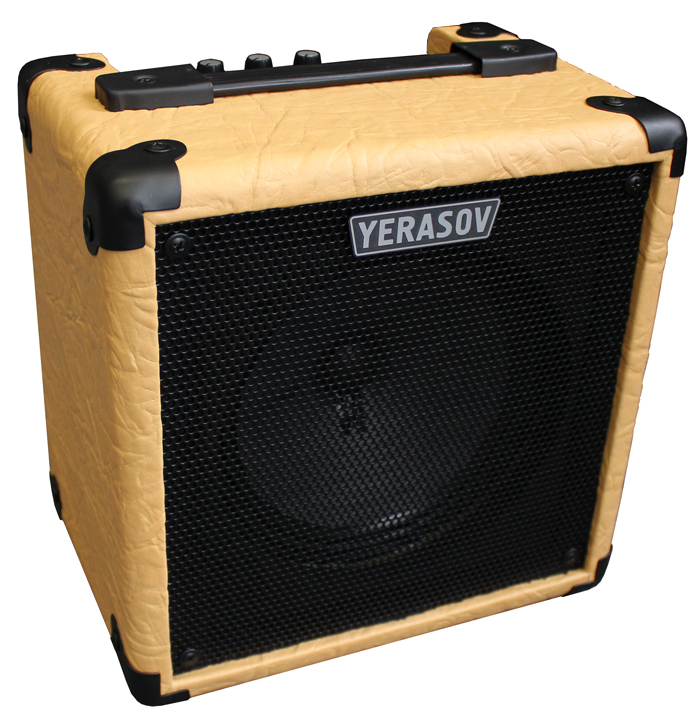 While we don’t see that much Russian guitar technology here in the UK, Yerasov is rapidly establishing a reputation for turning out good-sounding valve amps that cater to a wide range of tastes with prices that are hard to beat. This Gavrosh-8 is a simple proposition: a mini class AB three-watt (don’t let the -8 fool you) valve amp driving a single eight-inch Celestion T5183A 15W speaker. Small it may be, and light at 6.5kg/14.3lbs, but there are some useful features here such as a headphone/line out socket and also a speaker off button so you can blast your own ears while the kids sleep peacefully in the next room. The top panel controls are straightforward: volume, bass and treble. The slightly mysterious filter button is designed to take out the `sand’ when using overdrive pedals. In terms of construction the Gavrosh is a chunky little chap, and both the black metal grille and the heavily-textured beige vinyl will survive numerous trips to the car. Internally, the PCB is neatly laid out and, as you’d expect at this price, the valve mounts are directly affixed to the board. There’s a quintessentially Soviet duo of valves in terms of a 6N2P and a 6N23P plus a more familiar ECC83/12AX7. 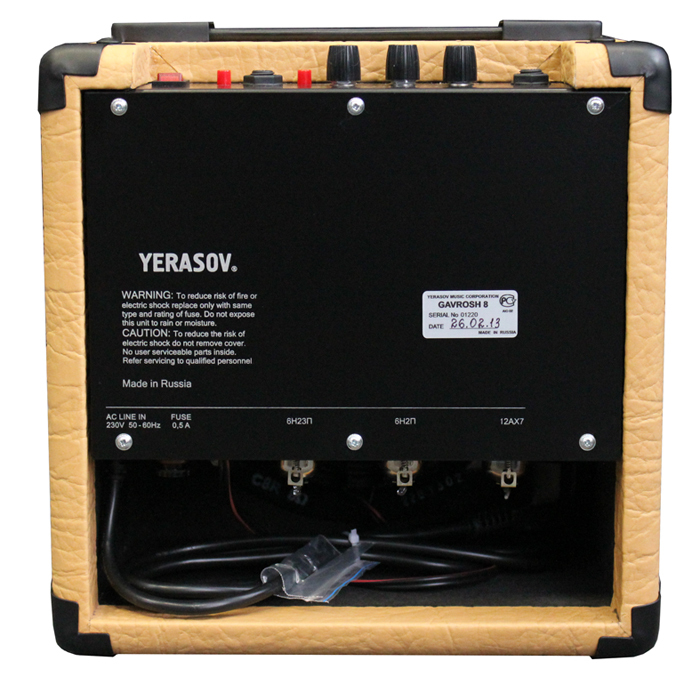 To some extent the Gavrosh-8 goes against the contemporary orthodoxy of low-wattage valve amp design. Rather than offering low-volume drive, it’s designed to stay as clean as possible all the way up. When it does start distorting the result isn’t especially pleasing, but this is a fact that the maker recognises, advising players to use external processors for overdrive. Happily, the cleans are rich and musical. As you might expect, the speaker is a little bass-light, but overall the sound is open and likeable. When engaged, the filter control offers a smoother character. My preferred setting is to turn everything up and control the amp from the guitar, but for drive tones it’s best to bring the amp level down and run the guitar wide open. 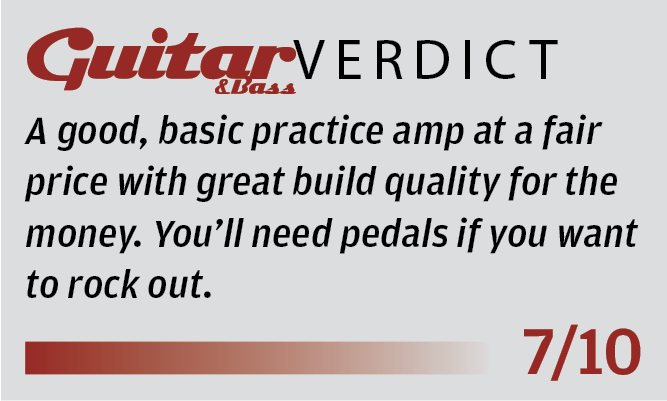 In this context the unit performs well with a range of dirt pedals; it’s rich and gutsy in a way that very few solid-state amps, modelling or otherwise, can achieve.